Everybody thinks it, so we’re just going to come right out and say it: Married couples that are on opposite sides of the political spectrum are weird. What do they talk about during election season? Do they buy both a deer-smashing SUV and a planet-saving Prius? How do they decide between getting a meat-covered pizza or a healthy salad for dinner? And what happens when one of them votes for a purely hypothetical racist and sexist monster for president? Well, Variety is reporting that ABC is developing a new “political family comedy” that will explore this very topic—though probably not those specific questions, unless the show’s humor is similarly hacky. Titled Libby & Malcolm, the show comes from Black-ish’s Kenya Barris and Vijal Patel, and it will focus on “two polar opposite political pundits who fall in love despite all odds and form an insta-family as well as a work partnership.” The message there is a little obvious and desperate and cheesy in the wake of this outrageously contentious election, but maybe a TV show were liberal and conservative pundits literally fall in love is just what America needs right now. 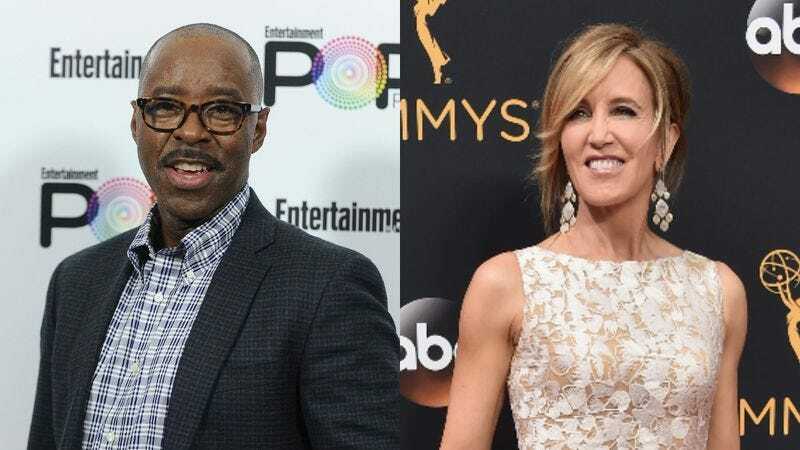 If not, the fact that Courtney B. Vance and Felicity Huffman are playing the couple will probably help. He’s playing a liberal man named Malcolm Black, and she’s playing a conservative woman named Libby—hence Libby & Malcolm being the name of the show.